Small Business Ideas to start your own business. Learn how to start a business. Here are 6 small business sectors to start a profitable business and helpful to get small business loans. 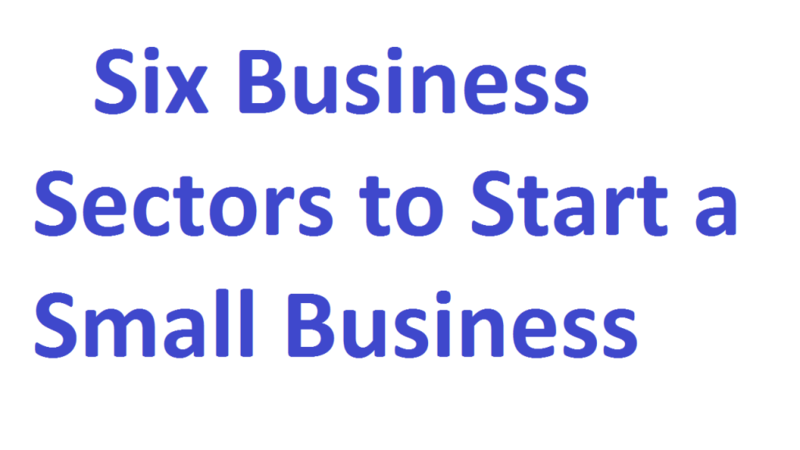 Here are six types of small business that you can start when you want. Manufacturing firm/business: A manufacturing firm is classed as small if it has 250 employees or less. Manufacturing takes raw materials and changes into finished goods for sale. Here are 3 types of manufacturing business are available. Metals manufacturing business are included sheet metal, machine shop, foundry, mini steel mill. Plastics manufacturing business is another profitable manufacturing business. This business included extrusion, applicators, and formulators. Food manufacturing business is another lucrative business ideas while you want to start manufacturing business. Actually, food manufacturing business included with food processors like, meat processing business, vegetable processing, and specialty items. Wholesaling as a small business: If you want to start a business with small investment then you can start wholesaling business. These businesses are the evergreen business around the years. Consulting business ideas: Consulting business is another business idea while you want to start a new business. The main advantage of consulting business is can be taken as a part-time job. Here is some example of consulting businesses are: management, financial, risk management, land use, and development, etc. Side business ideas for 2017 with small capital. Retailing business: Retails business is a business sector while you are doing another job. You can maintain with employee also. Grocery business, fast food business, the restaurant business is the best example of retailing business.